2P START! Live! : Legends of Podcasting Edition | 2P START! 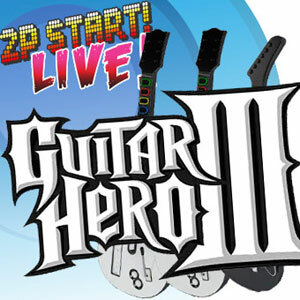 Here’s our 4th podcast (rss, mp3, iTunes), the Guitar Hero III Edition! Both Ray and I have purchased GH3, but only one of us have played it. Aren’t you dying to find out who and why?!? This podcast should be perfect for those that hate Ray’s girlfriend (I’m looking at you Blaggers) because she’s not in it! Even without the lovely Jessica making an appearance, this podcast clocks in at over 27 minutes (yikes!). Enjoy!